Unless you’ve isolated yourself in a cave somewhere, you’ve probably heard something about the potential for an earlier-than-expected rise in interest rates, and no doubt you’ve also heard speculation that said rise could spell trouble for thousands of people. To add to the perfect-storm scenario, the average household debt has never been higher. Excluding mortgage borrowing the average as of January 2016 stood at £13,520, up from £9,520 in summer 2015. Also in January 2016, the Bank of England announced a big rise in demand for personal loans, as well as a marked increase in January of loans for buy-to-let houses. The increase in mortgage loans, however, was modest. It seems that more and more, we are becoming a nation of debtors. In order to slow the spike in unsecured personal debt, the Treasury could decide to increase interest rates sometime this year, despite widespread previous projections that even a modest increase was unlikely before 2017. The rate increase could have a significant impact on families, many of whom are only just beginning to see daylight from the crunch that began in 2008. An embarrassment of riches, or a dearth of choices? The rise in demand for personal loans is good news for lenders, but what about consumers? Well, that depends. The lending business being the competitive and burgeoning industry that it is, consumers seeking loans face an increasingly complex array of choices. For those with spotless credit the problem may actually be too many choices. On the other hand many people are still struggling to recover from the financial meltdown, and their spotty credit may automatically disqualify them from the best deals. Some may feel that they have nowhere to turn, a situation that unfortunately has opened up new opportunities for the ever-present loan sharks and other illegal actors. Consumers who are facing challenges – even if the only challenge is deciding between several good choices – do have one powerful tool on their side: information. Apart from government agencies and non-governmental organisations devoted solely to helping consumers handle their personal finances, there are third-party informational sites that can help a consumer make the best choice. Even people with poor credit do have some options, but it is important that they research those choices via objective sources rather than relying on adverts from the lenders themselves. As banks become more willing to lend and interest rates remain low, the increased availability and low cost of loans drives the demand for loans upward. In and of itself the rise in demand for and approval of personal loans is neither good news nor bad. As noted above it is certainly good for the lenders, but from the individual consumer’s perspective, a personal loan could either be a step toward improving one’s standard of living, or a forbearer of hard times. It all depends upon the individual and his or her unique situation. In any case the plummeting cost of loans is a bright spot for those who are seeking loans through a bank. Compare the cost of a loan today with that of the same size loan taken out a mere five years ago. 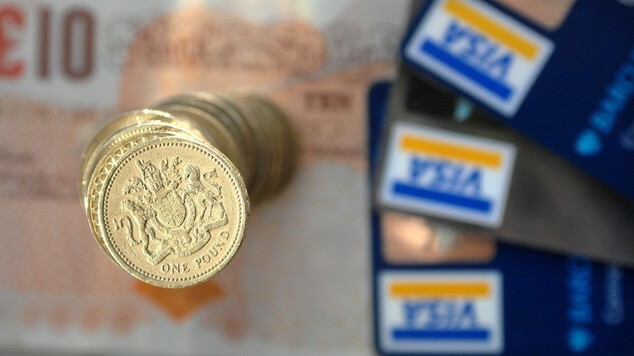 In 2011, the interest rate on a £10,000 loan was 6.78% APR. The same loan taken out today will carry a rate as low as 3.3% APR, less than half the previous rate. These low rates are, of course, not available to every lender, or for that matter, on every loan. The rates applied to smaller loans will be higher. For example, Sainsbury’s, which offers some of the lowest rates to its Nectar cardholders, charges those cardholders 7.4% APR on loans of £3,000 to £4,999, and 4.2% APR on loans of £5,000 to £7,499, with loan terms between one and three years. Monthly payments on these loans will be lower on loans taken out for longer terms under the agreement, but the net cost of the loan will naturally be higher due to the additional interest paid. The prudent borrower should therefore opt for the shortest payoff period that can be handled without putting undue stress on his or her finances, and even pay the loan off ahead of term if doing so doesn’t incur additional charges sufficient to offset the reduction in interest paid. No matter what one’s financial standing, there will almost always be a lender willing to make an offer. It’s just that people with better credit will get better deals. So it is, and so it has always been. The real winners of course are the lenders, but if consumers use loans responsibly they can be winners too, or at the very least avoid being losers.